Double Olympic distance running champion Haile Gebrselassie, head of the Ethiopian Athletics Federation, believes banning Russia from athletics competitions is damaging the sport. The International Association of Athletics Federations (IAAF) announced on Monday that it will not repeal the ban on the Russian track and field federation (RusAF), meaning the country’s athletes will only be able to take part in the 2017 world championships in August under a neutral flag. Gebrselassie, who won 10,000-meter Olympic gold in Atlanta in 1996 and defended his title four years later in Sydney, says a blanket ban on Russia is unfair on clean athletes, the Independent reported. “There are innocent Russian athletes as well as guilty Russian athletes,” said Gebrselassie, who also held the marathon world record in a career that saw him widely considered the greatest distance runner of all time. “You can’t punish the majority for the actions of the minority. You could then end up banning 2,000 Ethiopian athletes for the actions of, say, just five or six. I don’t agree with the punishment of Russia [as a blanket ban],” he said. Gebrselassie also believes that excluding Russia eliminates a strong competitor and severely restricts the field for other nations at international athletics competitions. “My worry is for the feeling of the competition without Russia. Winning medals in athletics without defeating Russia… you cannot experience the same feeling. Imagine a football World Cup where you don’t have to defeat Germany, France, or Italy. In athletics, winning races where you don’t have to defeat Russians or Kenyans, that’s not a real competition,” he added. 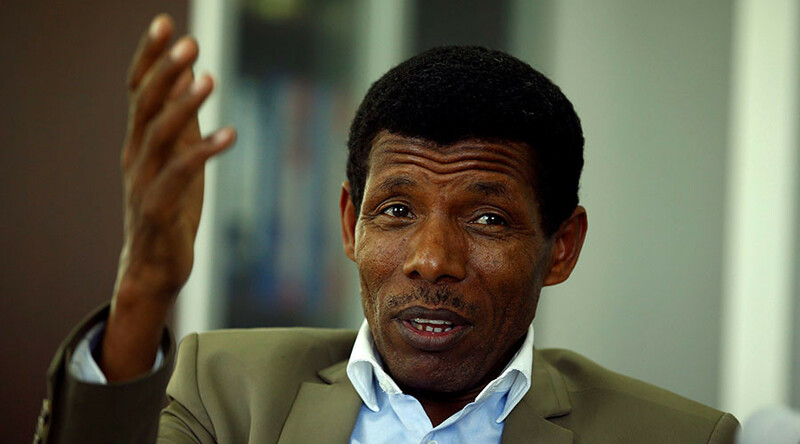 Gebrselassie also noted failings in his home country, stating "we need to change a lot of things in Ethiopian athletics" during the IAAF Athletics Awards in 2016. Thus far, 35 Russian athletes have applied to compete under a neutral flag in 2017. The IAAF insisted that RusAF be required to officially endorse each individual athlete’s application. Ethiopia in December adopted a zero tolerance protocol in regard to drug offences in athletics. The country's hard line stance includes introducing lifetime bans on competitors found to be using performance enhancing drugs and passing legislation to punish doping athletes with prison sentences. Girmay Birahun, 22, became the first athlete to receive such a punishment, being handed a minimum three-year term for being caught using meldonium, the substance that led to tennis star Maria Sharapova’s ban from competitive tennis until April of this year.